Arab Wings was established in 1975 and stands as the first private jet charter operator in the Middle East. Based in Jordan, Arab wings has taken its place as the regional leader in safety, quality and customer service amongst its peers. Arab wings services today include ad-hoc charter, air ambulance service, aircraft management, dedicated aircraft for special missions and a certified aircraft maintenance centre. Arab wings is also certified to do handling services out of all airports in Jordan. In 2010 Gulf wings, Arab wings sister company was granted it’s aircraft operating certificate (AOC) in the United Arab Emirates. This achievement added to the flexibility our group could offer to its clients. 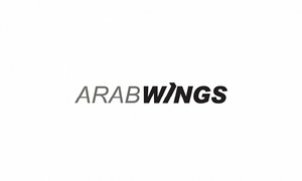 Arab Wings and Gulf Wings are owned by the International Wings Group (IWG). IWG also owns the Royal Jordanian Air Academy (www.royalflight.com) and Queen Noor Technical College (www.qnac.edu.jo). Arab Wings adheres to the latest international aviation regulations and has mature systems and procedures to ensure an unparalleled commitment to safety, quality and efficiency. Our large number of managed aircraft and continuous growth in charter are a testament to the confidence that our clients place in our eagerness to ensure customer satisfaction always. Going forward Arab Wings will continuously work hard to be ahead of the industry. Every staff member within our group is and will remain personally involved with each and every client that uses our services to ensure their comfort and satisfaction .